Gordon MacRae, actor, singer, lived in Lincoln, NE. 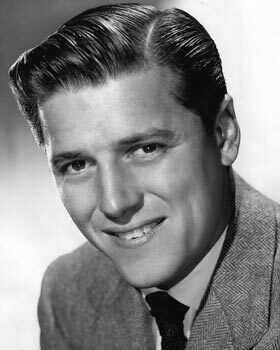 Albert Gordon MacRae was born on March 12, 1921, in East Orange, New Jersey. During his early years, he resided in Syracuse, NY, and, while attending Nottingham High School, spent much of his time singing and acting in the Drama Club.Â MacRae graduated in 1940 and served as a navigator in the United States Army Air Forces during World War II. He made his Broadway debut in 1942, acquiring his first recording contract soon afterwards. Then, in 1948, MacRae appeared in his first film, The Big Punch, a drama about boxing.Â In the fifties, he became famous for his leading roles in the film versions of two Rodgers and Hammerstein musicals, Oklahoma! and Carousel, then went on to host The Gordon MacRae Show on television in 1956.Â He received a star on the â€œHollywood Walk of Fame,â€ located on the north side of the 6300 block of Hollywood Boulevard, for his work in radio. But by the 1970s his life and his career were in decline because of his drinking.Â In 1978, a year after he was unable to remember his lyrics during a concert, he entered an alcoholism treatment center in Lincoln, Nebraska.Â He remained in Lincoln with his second wife, Elizabeth, until his death because he said it reminded him of his hometown of East Orange. Â On January 24, 1986, at age 64, MacRae died of pneumonia, the result of complications from cancer of the mouth and jaw.